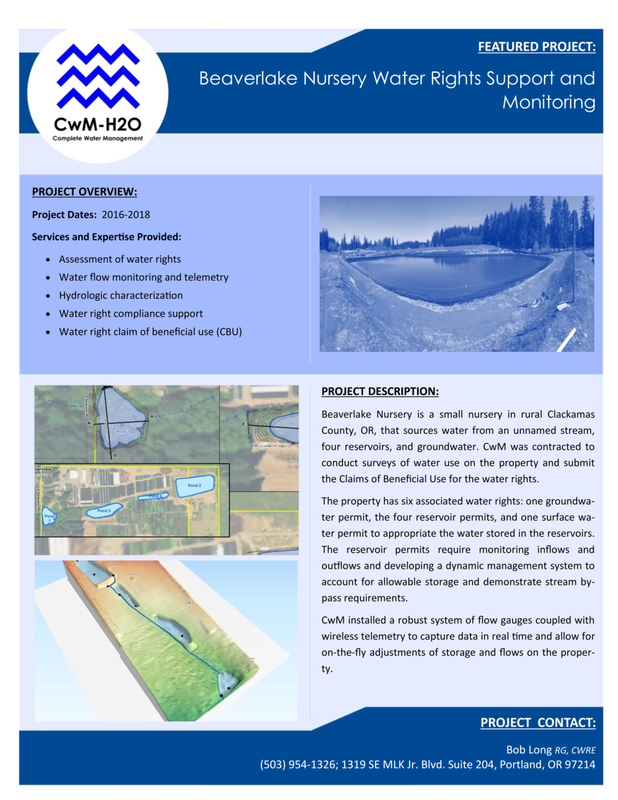 CWM consultants provide Certified Water Rights Examiner services in Oregon and Washington. The CWM team has over 20 years of water right consulting experience for municipalities, industry, agriculture, as well as golf course and resort development. Whether the water right issue is a new application, an extension of time, transfer, in-stream transfer, reconsideration of a cancelled right, or water right sale, our team has the expertise to address the technical issues and manage a positive out come. Call Bob Long, Certified Water Right Examiner in Oregon and Washington at (503) 954-1326 to leave a message or at his mobile number (503) 799-0304 .